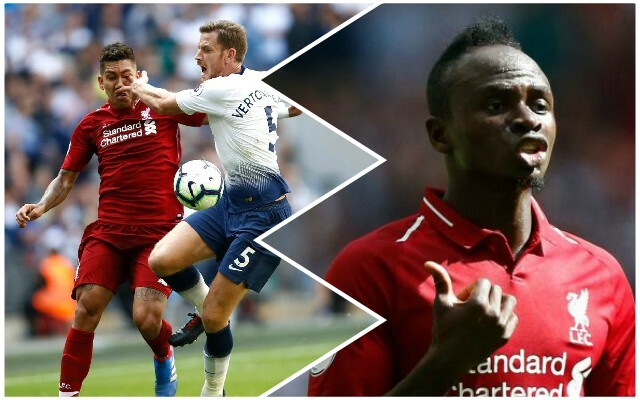 Sadio Mane has claimed that he told Roberto Firmino not to worry about his eye injury sustained in the win over Tottenham on Saturday lunchtime, telling the Brazilian that he would be fine to play against PSG. What a decision that turned out to be! It, of course, transpired that Firmino would emerge from the bench to win the game for the Reds with an excellent dummy and finish deep into stoppage time on Tuesday – and Mane was rightly keen to explain his part in the goal that sent Anfield into raptures. He might not need to use his eyes much, but it still doesn’t explain how Michael Oliver gave a foul against Firmino for the challenge with Jan Vertonghen! The feel-good factor around the Reds at the moment is ever-increasing; Liverpool have now won each of their opening six games in all competitions, and have placed themselves in an excellent position to qualify for the knock-out stages of the Champions League despite being handed a tough group. Mane will face his old side Southampton at the weekend as the Reds look to further their winning streak. If it means another goal on Saturday, we’d be more than happy for Sadio to text Bobby on Friday night!